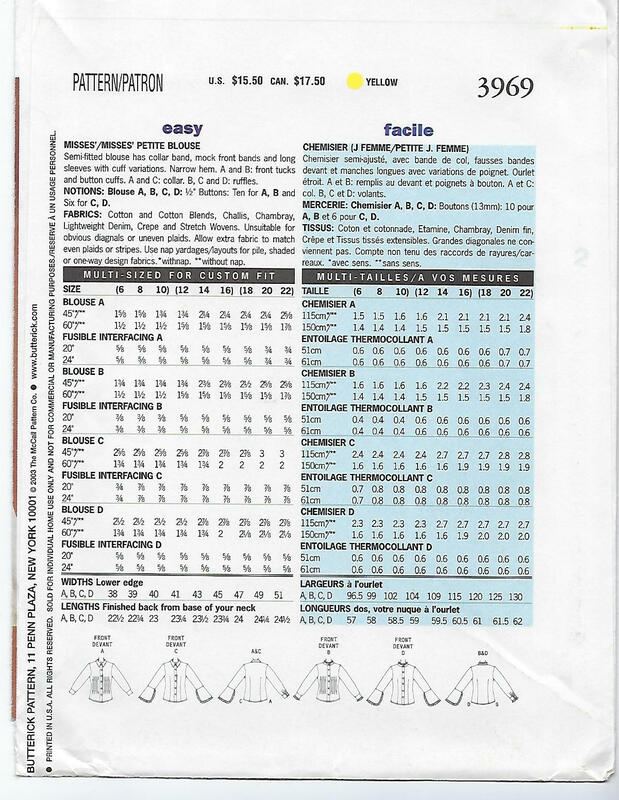 Package includes patterns and instructions to make MISSES Petite Blouse. 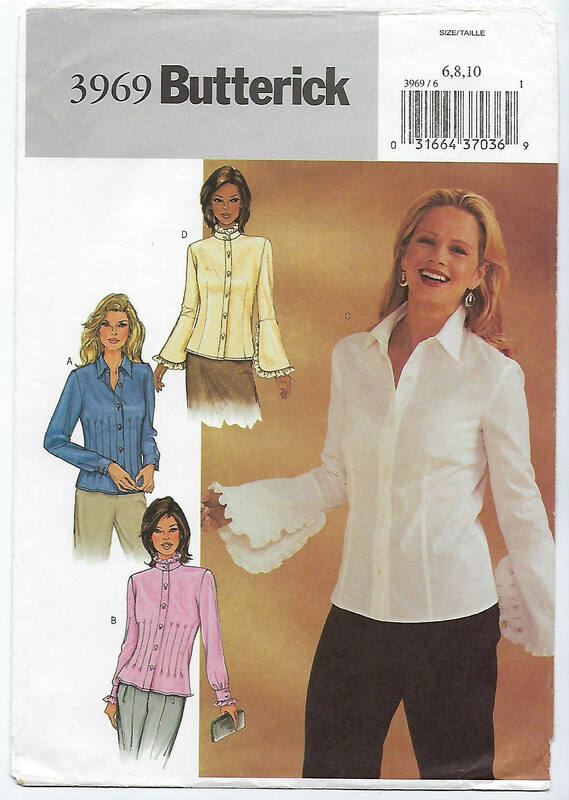 Semi-fitted blouse has collar band, mock front bands and long sleeves with cuff variations. Narrow hem. 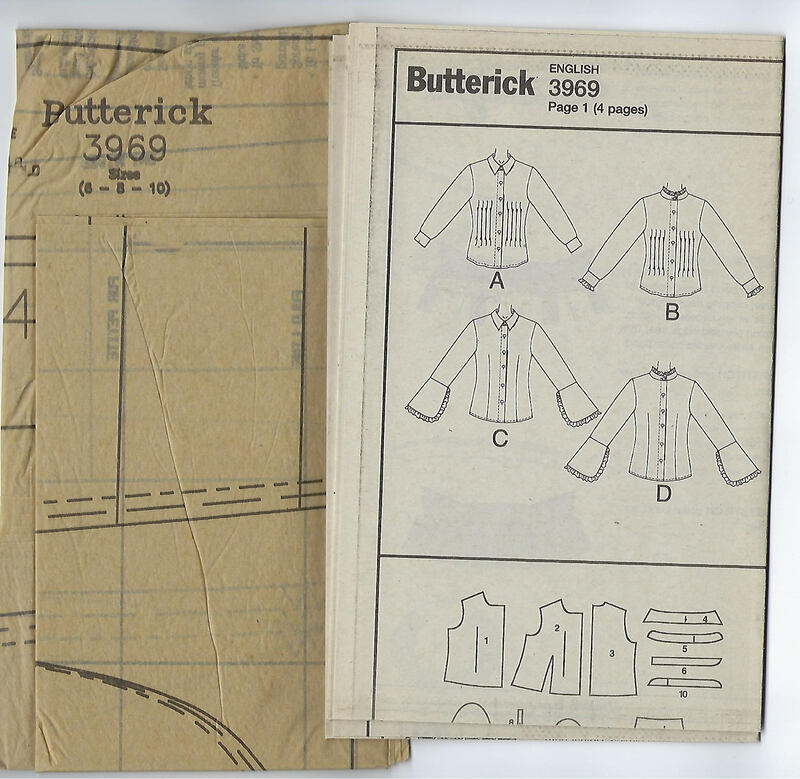 A and B: front tucks and button cuffs. A and C: collar. B, C and D: ruffles. Four views shown.